This post goes in-depth regarding yesterday’s FCPA enforcement action against VimpelCom (and a related entity) and summarizes the approximate 120 pages of resolution documents. As highlighted in this previous post, The net $397.5 million U.S. portion of the settlement is the 5th largest FCPA settlement amount of all-time (see here for the current top-ten list). The conduct at issue centers on the Uzbek Agency for Communications and Information (“UzACI”), described as an Uzbek governmental entity authorized to regulate operations and formulate state policy in the sphere of communication, information, and the use of radio spectrum in Uzbekistan. According to the information,UzACI was a “department,” “agency,” and “instrumentality” of a foreign government under the FCPA. The “foreign official” is described as follows: an individual whose identity is known to the United States, who was an Uzbek government official and a close relative of a high-ranking Uzbek government official. Foreign Official had influence over decisions made by UzACI. “VimpelCom and UNITEL conspired with others to provide over $114 million in bribes in exchange for Foreign Official’s understood influence over decisions made by UzACI concerning Uzbekistan’s telecommunications market. VimpelCom and UNITEL officials understood that they had to regularly pay Foreign Official millions of dollars in order to continue to obtain necessary UzACI approvals and be allowed to obtain and retain Uzbek telecommunications business. a. First, before entering the Uzbek market, certain VimpelCom management understood that they were required to have Foreign Official as a “local partner” to conduct business in Uzbekistan. 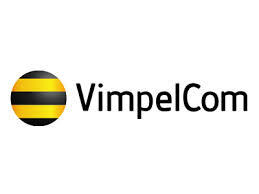 As part of its efforts to enter the market, VimpelCom paid $60 million to acquire Buztel, a company in which certain VimpelCom management knew that Foreign Official held an indirect interest via Shell Company [described as a company incorporated in Gibraltar that was beneficially owned by Foreign Official] because certain VimpelCom management knew that the acquisition of Buztel likely would facilitate VimpelCom’s acquisition of Unitel LLC and enable the company to conduct business in Uzbekistan. b. Second, in 2006, VimpelCom and UNITEL corruptly entered into a lucrative partnership agreement with Foreign Official’s front company, Shell Company, in which Shell Company would obtain an indirect ownership interest in UNITEL that VimpelCom would later repurchase at a guaranteed profit. The true purpose of this agreement was to pay a $37.5 million bribe to Foreign Official in exchange for Foreign Official permitting VimpelCom and UNITEL to conduct business in Uzbekistan. c. Third, VimpelCom, through a subsidiary, corruptly entered into a contract with Shell Company purportedly to obtain 3G frequencies in 2007. Certain VimpelCom management caused a $25 million bribe to be paid to Foreign Official via Shell Company so that Foreign Official would help UNITEL obtain these valuable telecommunications assets and permit it to conduct business in Uzbekistan. d. Fourth, VimpelCom, directly or through a subsidiary, knowingly entered into fake consulting contracts with Shell Company for $2 million in 2008 and $30 million in 2011; in both cases, Shell Company did no real work to justify the large consulting fees. The corrupt purpose of these contracts was to provide Foreign Official with approximately $32 million in exchange for valuable telecommunications assets and to allow UNITEL to continue to conduct business in Uzbekistan. e. Finally, VimpelCom and UNITEL made $20 million in bribe payments to Foreign Official in 2011 and 2012 through purposefully non-transparent transactions with purported “reseller” companies. Through these transactions with reseller companies, VimpelCom and UNITEL made and concealed corrupt payments to Foreign Official through Shell Company, which allowed UNITEL to continue to conduct business in Uzbekistan. “In 2005, as part of a plan of expansion into the CIS region, VimpelCom sought to acquire an Uzbek telecommunications company. Two companies under consideration for acquisition were Unitel LLC, the second largest operator in Uzbekistan with approximately 300,000 subscribers, and Buztel, which was a much smaller operator with only 2,500 subscribers. Although there was a sound business case for purchasing Unitel LLC alone, VimpelCom ultimately purchased Buztel, as well. Certain VimpelCom management knew that Foreign Official held an indirect interest in Buztel, and that purchasing Buztel would ensure Foreign Official’s support for VimpelCom’s entry into the Uzbek telecommunications market. During a December 14, 2005 VimpelCom board meeting, the likelihood of corruption was further discussed. For example, certain VimpelCom management explained that Foreign Official was actively influencing and interfering with Buztel’s operations because of Foreign Official’s ownership interest in the company. Certain VimpelCom management added that Foreign Official appeared to have control and influence over the purchase price for Unitel LLC. Certain VimpelCom management also warned that there could be a falling out with the local partner if VimpelCom only purchased Unitel LLC that would make it difficult, if not impossible, to operate in Uzbekistan. Concerns were raised about doing business with Foreign Official and the dangers associated with the Buztel transaction, and there was a recognition that a thorough analysis was needed to ensure that the Buztel payment was not merely a corrupt pretext for other services and favors. There were also numerous requests to ensure that the deal complied with the FCPA. Ultimately, VimpelCom’s board approved the acquisitions of Buztel and Unitel LLC, with a condition that FCPA analysis from an international law firm be provided to VimpelCom. VimpelCom’s management then sought FCPA advice that could be used to satisfy the board’s requirement while allowing VimpelCom to proceed with a knowingly corrupt deal. Despite the known risks of Foreign Official’s involvement in Buztel, certain VimpelCom management obtained FCPA legal opinions from an international law firm supporting the acquisition of Unitel LLC and Buztel; however, certain VimpelCom management did not disclose to the law firm Foreign Official’s known association with Buztel. As a result, the legal opinion did not address the critical issue identified by the VimpelCom board as a prerequisite to the acquisition. Certain VimpelCom management limited the law firm’s FCPA review of the transaction to ensure that the legal opinion would be favorable. “As VimpelCom entered the Uzbek market through the acquisitions of Unitel LLC and Buztel, certain VimpelCom management learned that VimpelCom would be required to enter into a partnership with Shell Company, which was ultimately controlled by Foreign Official, in order to conceal corrupt payments to Foreign Official in exchange for Foreign Official’s support to allow VimpelCom and UNITEL to do business in Uzbekistan. VimpelCom structured the partnership agreement to hide the bribe payments to Foreign Official. Under the deal, Shell Company obtained an indirect interest of approximately 9 7% in UNITEL for $20 million, and Shell Company received an option to sell its shares back to UNITEL in 2009 for between $57.5 million and $60 million for a guaranteed net profit of at least $37.5 million. In proposing the partnership, VimpelCom justified it in part by explaining that the partner would provide the “[r]evision of the licensing agreement for the major licenses” and “transfer of frequencies,” while also noting that the direct transfer of frequencies was not allowed in Uzbekistan. VimpelCom’s board approved the partnership on or about April 7, 2006, but its approval again was conditioned on “FCPA analysis by an international law firm” and required that the “the identity of the Partner . . . [be] presented to and approved by the Finance Committee.” VimpelCom received an FCPA opinion on the sale of the indirect interest in UNITEL to Shell Company on or about August 30, 2006. The FCPA advice VimpelCom received was not based on important details that were known to certain VimpelCom management and that certain VimpelCom management failed to provide to outside counsel, including Foreign Official’s control of Shell Company. In addition, documents, including minutes from the Finance Committee’s meeting on August 28, 2006, failed to identify the true identity of the local partner by name while noting the “extremely sensitive” nature of the issue. On or about March 28, 2007, VimpelCom’s board unanimously approved the partnership agreement with Shell Company, and the deal progressed as planned. Associate A [the information alleges that Associate A was Foreign Official’s close associate and that when Shell Company was incorporated in 2004, Associate A was twenty years old and became Shell Company’s purported sole owner and director] signed the agreement on behalf of Shell Company as the “Director,” and on or about June 12, 2007, Shell Company transferred $20 million from its Latvian bank account to VimpelCom’s bank account. Less than three years later, in or around September 2009, Shell Company exercised its guaranteed option to have VimpelCom’s subsidiary repurchase Shell Company’s shares, and VimpelCom transferred $57,500,000 from its bank account to Shell Company’s bank 10 account in Hong Kong. Both transfers were executed through transactions into and out of correspondent bank accounts at financial institutions in New York, New York. “Certain VimpelCom management again sought an FCPA opinion from outside counsel to provide a plausible cover to go forward with the transaction. Certain VimpelCom management then failed to provide outside counsel with important information, most notably that Shell Company was known to be owned by Foreign Official, because certain VimpelCom management were willing to accept an opinion that focused on Shell Company as a third party without analyzing or addressing the nature of the transaction itself or its high dollar value. “In or around August and September 2011, Witness continued to raise concerns. On or about September 2, 2011, Witness emailed a then in-house VimpelCom attorney to explain that Witness was “very concerned about this way of structuring the payment,” and Witness asked whether VimpelCom had received “any official ‘ok’ from US Governmental body/SEC . . . .” On or about September 5, 2011, Witness received a response from VimpelCom’s then in-house counsel that acknowledged that, “[t]his transaction deserves caution but on the legal side the 17 question boils down to whether there is a reasonable basis to believe that our counter-party will make illegal payments. We cannot establish conclusively that there will not be any illegal payments . . . .” VimpelCom’s then in-house counsel added, “. . . . our due diligence is our defense in the event that there is a claim against us so we have to ask ourselves whether the situation warrants additional due diligence. [We are] comfortable that additional due diligence is not warranted. We are going to monitor the process and ensure that real work is being done by the counter-party.” However, VimpelCom, including its in-house attorneys, did not thoroughly monitor the process to ensure that Shell Company performed any services. Once the FCPA opinion was obtained, VimpelCom proceeded with the deal. The 4G consulting agreement required approvals from certain senior VimpelCom executives reviewing the transaction from their areas of expertise. After receiving repeated assurances from VimpelCom’s then in-house lawyers, in or around mid-September 2011, Witness eventually provided the sign-off for Witness’s expert area for the proposed 4G consulting agreement with Shell Company. However, Witness handwrote an unusual caveat below Witness’s signature: “This sign off is solely related to [my expert area]. My sign off confirm[s] that I have reviewed the technical  position and approved with it.” Notably, certain other VimpelCom executives specifically limited their approval or expressed reservations before signing off on their expert areas. Executive 2 expressed no reservations before providing the necessary approval on behalf of the business unit. “Because of significant currency conversion restrictions in Uzbekistan and the inability to use Uzbek som (the Uzbek unit of currency) to obtain necessary foreign goods, UNITEL frequently entered into non-transparent transactions with purported “reseller” companies to pay foreign vendors in hard currency for the provision of goods in Uzbekistan. Typically, UNITEL would contract with a local Uzbek company in Uzbek som, and that Uzbek company’s related companies located outside of Uzbekistan would agree to pay an end supplier using the hard currency (usually, U.S. dollars). In February and March 2011, Executive 1 conspired with Executive 2 and others to take advantage of the murky reseller process to conceal a $10 million bribe to Foreign Official via Shell Company through various purported reseller transactions to Shell Company. Based on the above core conduct, the information charges one count of conspiracy to violate the FCPA’s anti-bribery provisions. Based on the same core conduct alleged above, VimpelCom was also charged with conspiracy to violate the FCPA’s anti-bribery and books and records provisions and a separate count of violating the FCPA’s internal controls provisions. “Throughout the time period of VIMPELCOM’s bribery of Foreign Official, VIMPELCOM failed to implement adequate internal accounting controls and failed to enforce the internal accounting controls it did have in place, which permitted the above-referenced bribe payments to occur without detection or remediation. VIMPELCOM failed to implement a system for conducting, recording, and verifying due diligence on third parties, including joint venture partners, consultants, reseller companies, and suppliers to uncover their true nature, beneficial ownership, and possible corruption risks. Time and again, board members, executives, and employees of VIMPELCOM identified serious concerns with third parties, and VIMPELCOM still failed to undertake adequate due diligence. Further, VIMPELCOM knowingly failed to require that all consulting agreements be for bona fide services, that agreed-upon payments were commensurate with the services to be performed, and that services paid for were, in fact, performed. VIMPELCOM knowingly failed to conduct meaningful auditing or testing of its consultant agreements, invoices, and payments, including those with Shell Company and, as demonstrated above, failed to conduct adequate investigations of corruption complaints. VIMPELCOM also had no policy regarding payments to bank accounts located in places where the contractual partner neither performed work nor had operations. In 2011 and 2012, VIMPELCOM paid $20 million in bribes through singlesource decisions with reseller companies that allowed certain executives to structure nontransparent transactions. VIMPELCOM knowingly failed to implement and maintain adequate controls for approving and transacting with reseller companies and intermediaries to ensure that reseller companies were scrutinized and that single-source contracting decisions were justified. Certain VIMPELCOM and Unitel executives took advantage of these control failures to engage in transactions designed to obfuscate the actual purpose of the payments, which was to corruptly influence Foreign Official. As a result of the facts described herein and the failures of VIMPELCOM’s management, VIMPELCOM also knowingly lacked a sufficient internal audit function to provide reasonable assurances that corporate assets were not used to make bribery payments to foreign officials and failed to enforce audit protocols or conduct adequate internal audits to detect and prevent criminal activity. As discussed above, VIMPELCOM knowingly failed to implement and enforce internal controls to keep a 2012 reseller transaction within a regularly conducted audit after Executive 2 intervened to cause its removal, thereby allowing a bribe payment to Foreign Official, through Shell Company, to go undetected. VIMPELCOM management also knowingly failed to implement and maintain adequate controls governing processes concerning conflicts of interest. For example, certain VIMPELCOM management knew of a conflict with Associate B’s representation of Shell Company, because at the time Associate B was a chief executive of one of Unitel’s primary competitors in Uzbekistan. Moreover, Associate B requested to be contacted about work matters on a personal email account and through a pseudonym. VIMPELCOM failed to implement or enforce any meaningful policy to adequately scrutinize business deals with representatives who had such conflicts of interest or otherwise engaged in non-transparent activities. Other failures that contributed to VIMPELCOM’s lax control environment were VIMPELCOM’s failure to enforce price thresholds that determined the required level of approval authority, failure to retain documentation of deliverables for contracts, and failure to adequately classify and obtain approvals for purported charitable contributions that were made in exchange for state-provided assets. VIMPELCOM’s failures to implement and enforce adequate internal controls contributed to an environment where it was possible for VIMPELCOM and Unitel executives to pay Foreign Official through Shell Company over $114 million in bribes. VIMPELCOM also had particularly severe deficiencies in its general compliance function and its anticorruption compliance policies and procedures. When VIMPELCOM entered the Uzbek market, it had no Chief Compliance Officer (“CCO”). To the extent that compliance was considered by VIMPELCOM, it was the responsibility of the legal department and was thought of as a “completeness check” that legal formalities were followed. When VIMPELCOM later did designate a CCO, whose formal title was the Head of Department of Compliance with Obligations and Disclosure of Information and Corporate Law, the junior executive selected had no background in compliance and was given no staff or support. Furthermore, all of VIMPELCOM’s compliance duties were expected to take a small fraction of the executive’s time. In fact, there was no dedicated compliance function at VIMPELCOM until 2013, and CCO was not a senior management group position until 2014. “Due to VIMPELCOM’s failure to implement effective internal accounting controls, VIMPELCOM, acting through certain executives and others, disguised on its books and records over $114 million in bribe payments made for the benefit of Foreign Official in exchange for VIMPELCOM and Unitel’s ability to enter and conduct business in the Uzbek telecommunications market. Although all of VIMPELCOM’s and Unitel’s bribes to Foreign Official were funneled through Shell Company, it was part of the scheme that certain VIMPELCOM management and others used a variety of non-transparent transactions with different purported business purposes, described above, so that the payments would be inaccurately recorded as legitimate transactions. a. The bribe related to the partnership agreement in which Shell Company first purchased and then sold an indirect equity interest in Unitel was falsely recorded in VIMPELCOM’s consolidated books and records as the receipt of loan proceeds in 2007 to be repaid in 2009 and secured by shares in a VIMPELCOM subsidiary. b. The bribe related to the acquisition of 3G frequencies in 2007 was falsely recorded in VIMPELCOM’s consolidated books and records as the acquisition of an intangible asset, namely 3G frequencies, and as consulting expenses. c. The bribe in 2008 was falsely recorded in VIMPELCOM’s consolidated books and records as “submission and support documentation packages seeking assignment of 24 channels to Unitel” and treated as an acquisition of an intangible asset and consulting services. d. The bribe related to consultancy services associated with the acquisition of 4G frequencies in 2011 was falsely recorded in VIMPELCOM’s consolidated books and records as “consulting services” and treated as consulting services and as an acquisition of an intangible asset, namely 4G frequencies. The criminal charges against VimpelCom were resolved through a DPA with a term of three years. The Offices enter into this Agreement based on the individual facts and circumstances presented by this case and the Company. Among the factors considered were the following: (a) the Company failed to self-disclose voluntarily its misconduct to the Offices after an internal investigation had been initiated and uncovered wrongdoing, and as a result the Company was not eligible for a more significant discount on the fine amount or the form of resolution; (b) the Company has provided to the Offices all relevant facts known to the Company, including information about individuals involved in the FCPA misconduct; (c) the Company received full cooperation and remediation credit of 25% for its substantial cooperation with the Offices, including-providing evidence (where not prohibited by relevant foreign data privacy and national security laws and regulations) uncovered during a previously conducted internal investigation; undertaking significant efforts to provide foreign evidence to the Offices (again where not prohibited by relevant foreign data privacy law and national security laws or regulations); conducting additional investigation independently, proactively, and as requested; voluntarily making foreign employees available for interviews; assisting with interviews of former employees; and collecting, analyzing, translating, and organizing voluminous evidence and information for the Offices (again where not prohibited by relevant foreign data privacy law and national security laws or regulations); (d) the Company received additional credit of 20% for its prompt acknowledgement of wrongdoing by Company personnel after being informed by the Offices of their criminal investigation, and the Company’s willingness to resolve promptly its criminal liability on an expedited basis; (e) the Company has engaged in extensive remediation, including terminating the employment of officers and employees when the Company determined that they were complicit in the unlawful payments or otherwise failed their responsibilities in connection with such payments; has been substantially upgrading its anti-corruption compliance program; has retained new leaders of its legal, compliance, and financial gatekeeper functions; and has committed to continue to enhance its compliance program and internal controls, including ensuring that its compliance program satisfies the minimum elements set forth in Attachment C to this Agreement; (f) despite these remedial efforts, the Company recognized the need for, and agreed to, the imposition of an independent compliance monitor, as set forth in Attachment D to this Agreement; (g) the Company has no prior criminal history; and (h) the Company has agreed to continue to cooperate with the Offices as provided below in any investigation of the Company and its officers, directors, employees, agents, and consultants relating to possible violations under investigation-by-the Offices …”. The SEC’s settled civil complaint is based on the same core conduct alleged in the above DOJ action. “From 2006 to at least 2012, VimpelCom offered and paid bribes to a government official in Uzbekistan in connection with its Uzbek operations. During the course of the bribery scheme, VimpelCom made or caused to be made at least $114 million in improper payments in order to obtain and retain business that generated more than $2.5 billion in revenues for VimpelCom. Unlike the DOJ resolution documents, the SEC complaint alleges under the heading “Payments to Charities” as follows. “VimpelCom also made what were ostensibly charitable payments in order to improperly influence Local Partner A. In connection with corruptly influencing Local Partner A, representatives of Local Partner A directed VimpelCom to make at least $502,000 in payments to charities directly affiliated with Local Partner A. The complaint charges VimpelCom with violating the FCPA’s anti-bribery provisions, books and records provisions, and internal controls provisions.